In small microwavable bowl, microwave chocolate chips and oil uncovered on High 2 minutes, stirring once, until mixture can be stirred smooth. 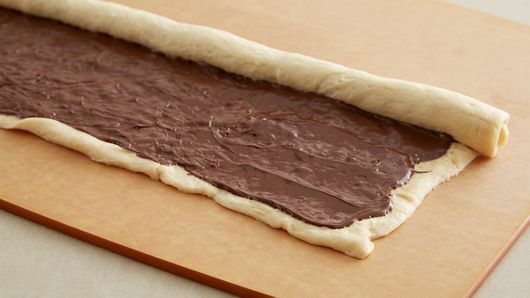 Spread evenly on dough. Starting with 1 long side of rectangle, roll up; pinch edge to seal. With serrated knife, cut into 12 slices, wiping knife between cuts. 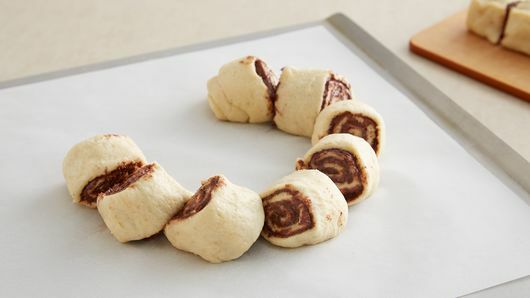 Arrange slices on cookie sheet, seam side down, in a 7-inch diameter circle, leaning each slice against the previous one. Tuck last one under the first to complete the ring. Bake 14 to 18 minutes or until golden brown. 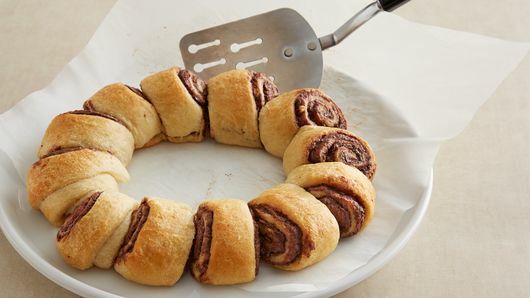 Using a large, flat spatula or fish turner, tip pan and slide the ring onto serving platter. Meanwhile, in 4-quart saucepan, mix sugar, raspberries and 1/4 cup water; bring to a boil over medium-high heat. Break up berries with spatula or wooden spoon if frozen together. 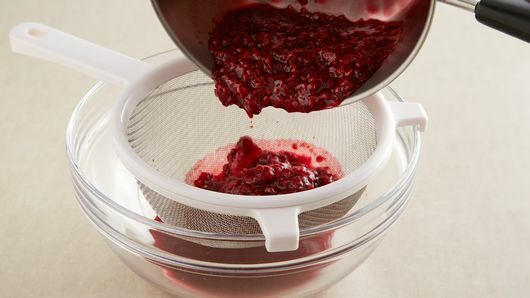 Continue to cook 5 minutes, stirring frequently, until berries burst and mixture begins to boil vigorously. Combine cornstarch and 1/4 cup water in a small bowl. Stir into boiling mixture and continue to cook 2 minutes, or until mixture is very thick. Strain sauce through fine mesh strainer. Spoon 1/4 cup sauce over warm crescent ring. Serve with remaining sauce. You can make the sauce up to a day ahead. 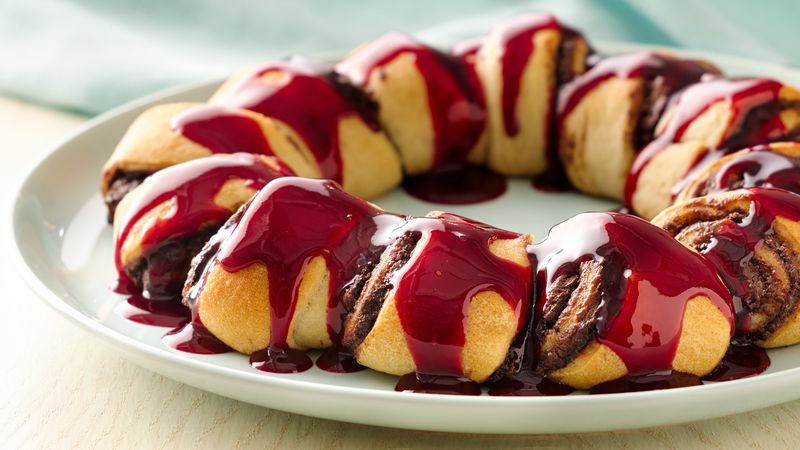 Just store in a microwavable container, and microwave uncovered on High 60 to 90 seconds or until warm before pouring over the crescent ring. Don't feel like straining? Just spoon the sauce straight from the pan over the finished ring. You won't get the same smooth sauce, but you'll get a big fiber boost! 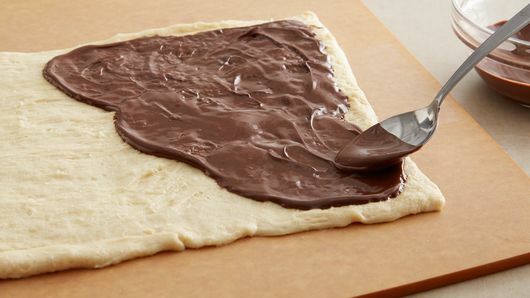 Parchment makes a nice stand-in for the baking spray. Just pick up the parchment after baking and slide the ring off the paper onto a serving platter.